Some years ago animal prints were sinonymous of an eccentric style. Nowadays leopard prints are a must have for women of any age. 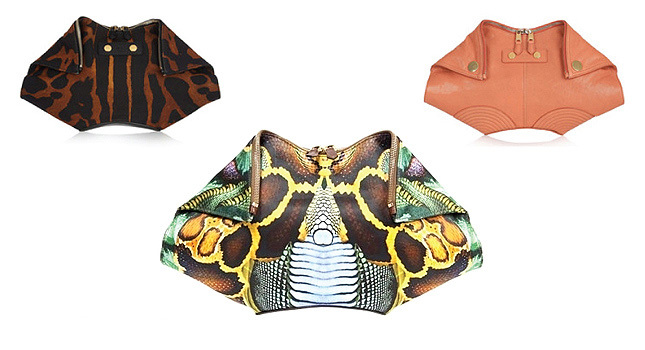 I would like to suggest you go deeper in the jungle and get inspired by python prints. 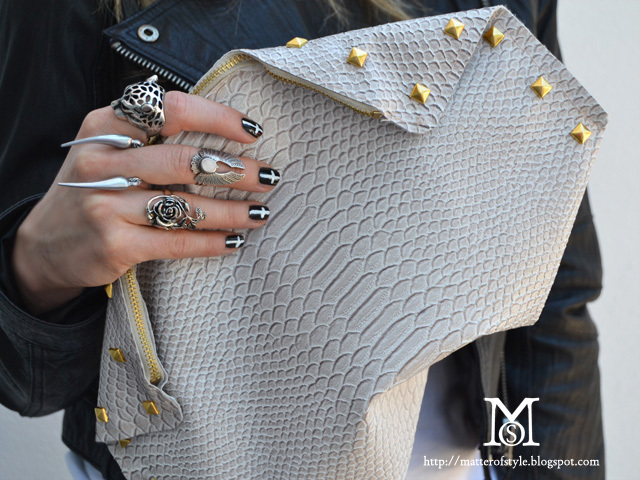 These exotic leathers are sinonymous of luxe and exclusivity (and painful prices) so you have to get yourself a snakeskin accessory chic girl! 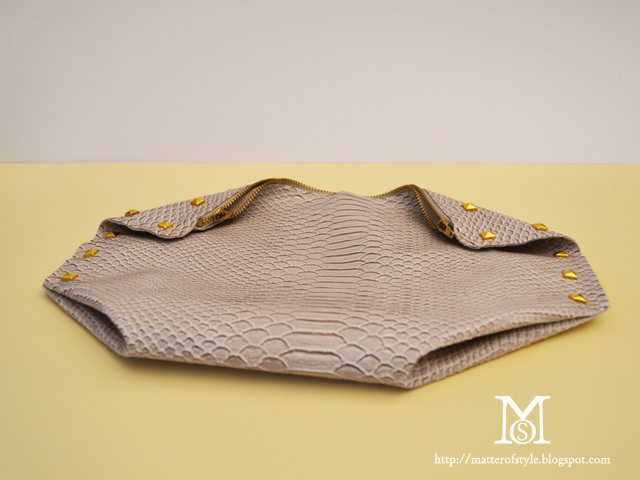 Today I'll show how to make a snakeskin clutch with a placemat found at zara home. You can find placemats of any material. If you don't find the one you like you can replace it with a piece of vinyl or leather 35x50 cm. We'll give a full trasformation to the placemat. 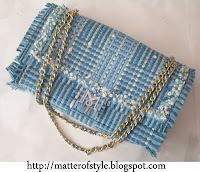 For the shape of the clutch I took inspiration from Alexander McQueen de manta clutch. Wow this looks amazing, I thought your DIY was an original. Looks awesome. This is INCREDIBLE! Love it. che bella! !mi piace il tuo blog, ti va di seguirci a vicenda? Wow, this is unbelievable!! Love it. Wow great idea...Looove this clutch.